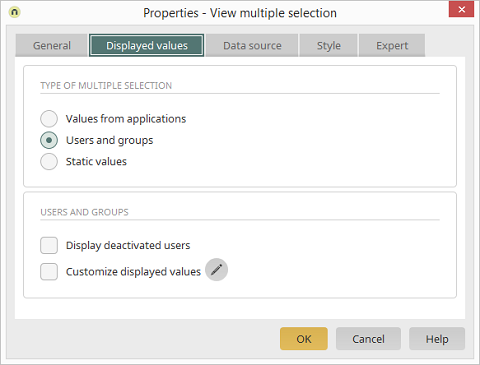 The settings here correspond to those of the Multiple selection element. Click here for more information. If this setting is selected, the object names themselves will be shown instead of the GUIDs, which are saved in the connected data field, of the objects from the User Manager.